The flooding of 1996 heavily damaged the Touchet River Corridor downstream of the City of Waitsburg. What was left was largely a long riffle-run with little large woody debris, high eroding stream banks and very little vegetative cover. 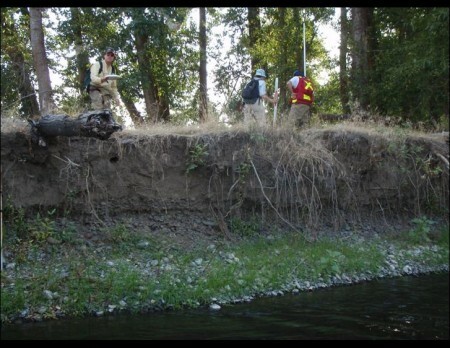 In 2007, the U. S. Forest Service TEAMS group conducted a fluvial geomorphic assessment to serve as a basis for planning future restoration work. WDFW drew up designs for repairing the most problematic areas on the Perry Dozier farm and installation began during the 2009 instream work window. The final instream structural work was completed during the 2010 work window. Upland planting was completed in the spring of 2010. 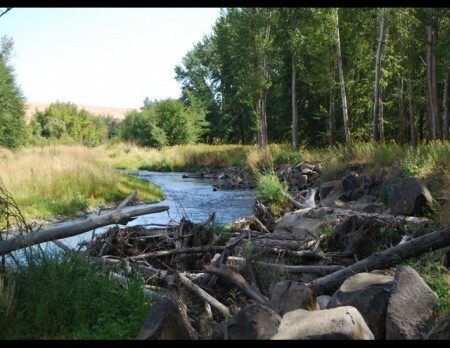 The following practices were installed in and along the banks of the Touchet River on the Dozier Farm: 5 rock barbs, 5 rootwads, 3 sweeper logs, 2 relief channel rough structures, 1.2 acres of grass seeding 2,100 feet of stream bank treated, 3,260 native plants installed, and 2.9 acres of riparian zone treated. There are more details in the Final Report For Dozier Restoration Project. Funding was provided through a grant from the Recreation and Conservation Office: Snake River Salmon Recovery Funding Board.